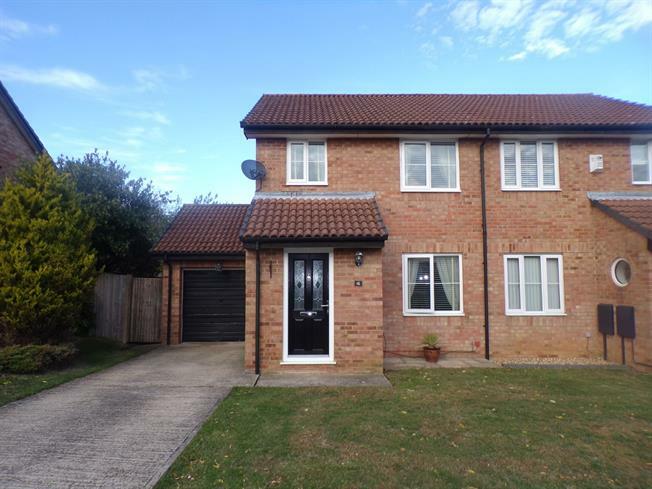 3 Bedroom Semi Detached House For Sale in Newport Pagnell for Offers in excess of £300,000. Situated on the sought after Green Park development we are pleased to offer for sale this three bedroom semi detached property in Newport Pagnell. The accommodation comprises of: Lounge/Diner, Kitchen, three bedrooms, family bathroom. The property also offers front and rear gardens as well as driveway parking and a garage! 12'5 to face of wardrobes x 8'6. Double glazed window to front aspect, built in wardrobes, radiator. 9'10 x 8'5. Double glazed window to rear aspect, radiator. 6'10 x 6'3, radiator, double glazed window to front aspect. Double glazed window to rear, heated towel rail, three piece suite comprising Panelled bath, low level WC, hand wash basin.